Our team will do all the work to get your resort selling online to lock in revenue in advance so your resort can make more money and provide a frictionless purchase process for your guests. Your products are for sale 24/7, year-round, enabling your resort to make more money. Eliminate double entry and reduce labor hours by pushing sales directly into your point-of-sale software. Guests can bundle different products into one-cart, making it hassle free and increasing pre-arrival spend. 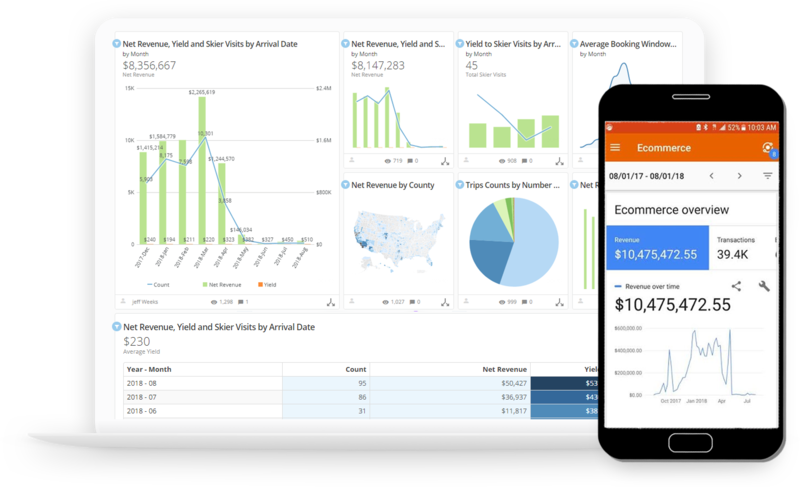 Get customized reports to help you drill down on who your customers are and where they’re coming from. Send pre-arrival and post-arrival emails to customers to increase revenue and guest satisfaction. Let our team handle your inbound call center needs for booking products. Send follow up emails to guests who have abandoned their cart to increase conversions online. e-store will automatically update to the newest technology to keep up with consumer trends. Running a ski resort is not an easy task; maintaining infrastructure, water rights, labor and land usage issues, and the myriad of other concerns that arise daily are enough to push a resort’s team to the limit. Let us take the stress of e-commerce of your plate and help you increase your revenue to give you more money to do what you do best: running a ski resort.